The new series of video Q&A's called Dispatch kicks off with Film Producer Alicia Brown from Optimism Films talking about working with Screen Producer Ted Hope who is the new Executive Director of the San Francisco Film Society. An expert in American independent filmmaking, Ted Hope has 67 titles to his name including Amercian Splendor, Human Nature, Happiness and Wonderland to name a few. Alicia was the recipient of the Screen Australia $40,000 Internship to work with Ted Hope. This interview is the first check-in with Alicia. She will be posting updates from San Fran, to share her experiences and insights through blogs and videos with Metro Screen just you for you throughout the year. Watch this space. Think Instagram is just another tool to share photos with friends, think again. This music video is made entirely from 1905 photos taken and shared through the popular app. You’re Invited to join the Metro Screen family for an end-of-year social picnic at Reservoir Gardens across the road from Paddington Town Hall on Oxford Street, Wednesday 12 December from 5pm – 8pm. It’s a super casual B.Y.O. affair and we’d love to see you there. Come and take a tour of the Metro Screen facilities and hear from our staff at the December Info Night, Thursday 13 December 6pm – 7pm. This event is held every month for people interested in a career in Film, TV or Digital Media. 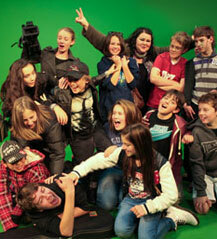 This advanced three-day workshop is a great chance for kids aged 11-15 to create short films for TropJr and potentially kick start a creative career in filmmaking. Participants are encouraged to bring with them ideas for short films or a script that may be selected for production over the course of the workshop. Each student will have the chance to write, act, shoot, light, direct, edit add a sound track and produce a TropJr short film project. 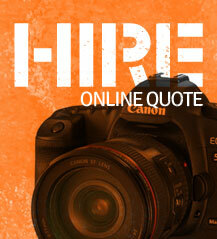 HIRE EQUIPMENT FOR 12 DAYS FOR THE PRICE OF 4 DAYS! Whether you are shooting your TropFest short or your family reunions during the summer holidays, book early and get an amazing deal. We are offering you 12 days of equipment hire for the price of four days. Pick up your gear 21 December and you can use it right through until 3 January 2013 for the price of just four days hire. First in, best dressed. Send us your booking through our instant quote online to redeem this once-a-year offer. Submit your job, event, film festival entry opportunity, giveaway or news item to the Forums anytime. Nursery Cry’mes is a 5 year old girl’s monologue about classic nursery rhymes with a very dark twist. Based on a 10 minute play, which won a short play competition, was runner up in the grand final of Crash Test Drama competition in Cronulla and was awarded Best Director. We have converted the script to Tropfest format, using most of the original cast. The Poetry in Film Festival 2012 has now become PIFF 2013. This is ultimately good for filmmakers who didn’t have the chance to submit films to PIFF 2012 as the deadline has been extended until 1st February 2013. PIFF 2012 received a good number of films, but not quite enough to make the competition strong. We want to make this the best PIFF yet, so we are asking for more time and more films! Thursday nights are now etched firmly on the Sydney cinema calendar as Korean night! Season 2 finishes on 20th December for 2012, which culminates in a fantastic festive party! The films aim to share the virtues of the national cinema of Korea, through topical discussions about the films on show and current trends emerging from the industry. Directed by Josh Radnor (TV’s How I Met Your Mother) and starring Josh Radnor (How I Met Your Mother), Elizabeth Olsen (Martha Marcy May Marlene), Richard Jenkins (Killing Them Softly) and Allison Janney (The West Wing). Liberal Arts follows a thirty-something guy and a co-ed who spark a connection due to their mutual love of books and music, though their age difference complicates their fledgling relationship. Produced by Blackfella Films (Mabo, First Australians) the 6 x 1 hr series screened on ABC1 is a collaboration between some of Australias most celebrated creatives. Directed by Rachel Perkins (Mabo, Bran Nue Dae), Catriona McKenzie (Satellite Boy), Wayne Blair (The Sapphires, Wish You Were Here) and Leah Purcell (Somersault, Jindabyne, Lantana) both starring in and directing one of the stories. This series dives head first into life’s colourful and rich pageant with Anthony encountering the weird, wild and downright outrageous personalities and places that help define the international cultural landscape. In the world of a cook, an understanding and appreciation of how others eat is akin to discovering secret societies and cryptic subcultures.